Explore the Beatitudes with New Testament Greek Scholar and Popular Radio Host and Teacher Dr. Spiros Zodhiates. Explore the Beatitudes with New Testament Greek Scholar and Popular Radio Host and Teacher Spiros Zodhiates! 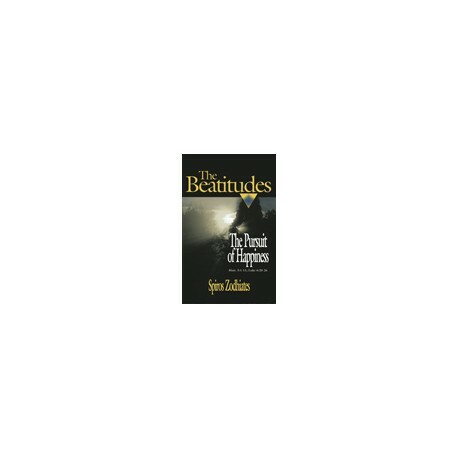 Zodhiates' Beatitudes: The Pursuit of Happiness is an in-depth commentary on Matthew 5:1-11 and Luke 6:20-26. However it's much more than a commentary in the traditional sense. The 118 chapters read like devotionals that unlock the incredible power and wisdom of Jesus' most central teaching. Through analysis of the Greek as only Zodhiates can do, you will discover the biblical meaning of being blessed, and why the pursuit of happiness for many only leads to greater levels of despair. Is There Any Merit in Being Poor? Does Meekness Mean Tolerance of Evil? Should the Christian Serve Just for the Sake of the Reward? With PC Study Bible Version 5 and The Beatitudes: The Pursuit of Happiness , it's easy to find more information on any topic or word by simply clicking on one of the many cross-referenced items, or on any Scripture reference to instantly access that passage in a parallel study pane.